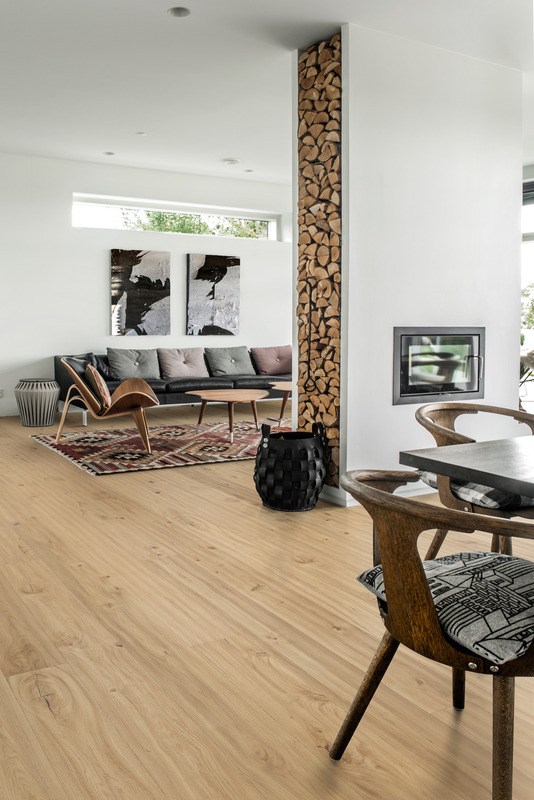 Kahrs Oak Klinta uses boards specially chosen for their beautifully unique grain, which features open, flowing patterns across large boards. 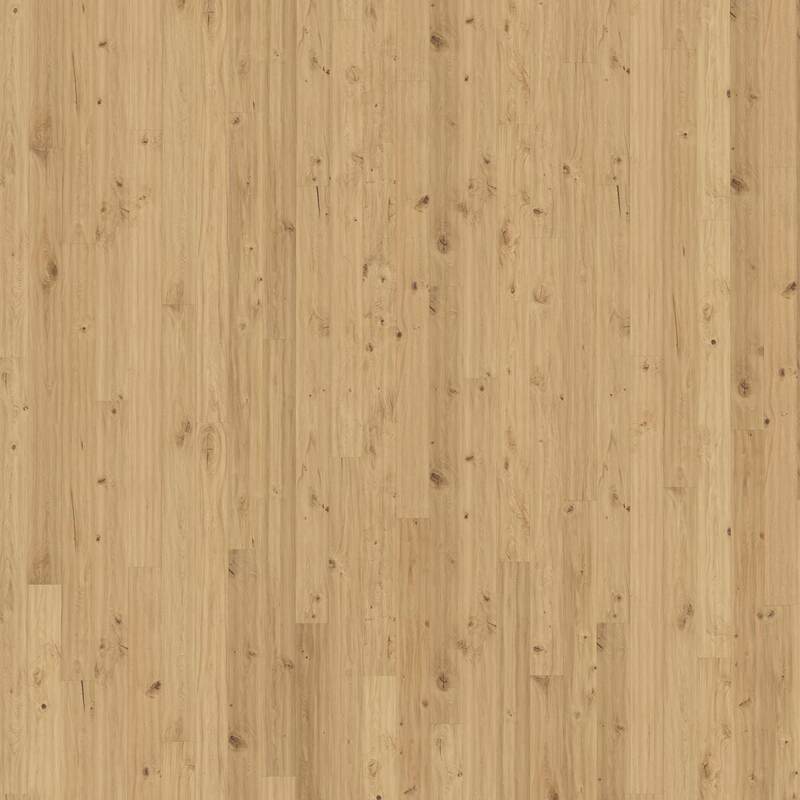 Each board has a bevelled edge, which helps highlight their large format and lets the grain standout even more. The boards are over 2.4m long, meaning in a large room, the full effect of the boards is shown of well. Finished with a white-stained natural oil, this floor is bright and airy, without having a glossy shine. We recommend to apply a coat of oil after installation to ensure the oil is even across every board.